after being recruited by their mysterious leader (Christian Slater). USA Network has officially set the premiere date for its criticaly acclaimed drama Mr. Robot. Returning for a second season on Wednesday, Jul. 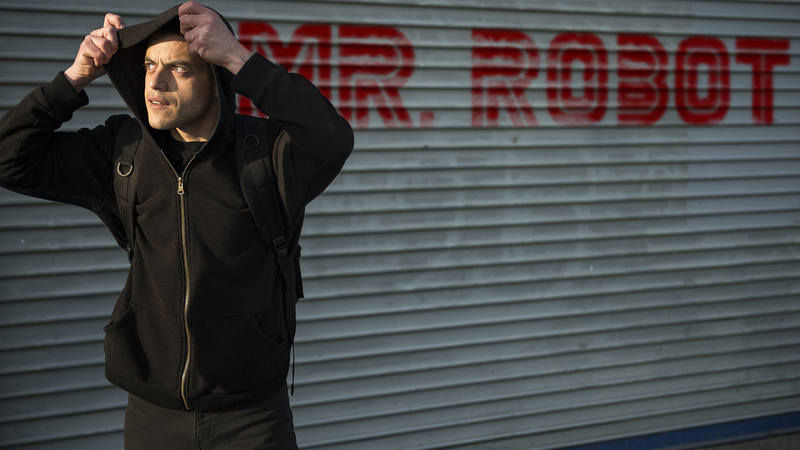 13 at 10/9c, Sam Esmail’s groundbreaking series stars Rami Malek as Elliot Alderson, a brilliant-but-troubled computer hacker, and Christian Slater as Mr. Robot, a mysterious agitator who enlists Elliot’s help. addition to Malek and Slater, Portia Doubleday (Angela), Carly Chaikin (Darlene), Martin Wallström (Tyrell), Michael Cristofer (Phillip Price), and Stephanie Corneliussen (Joanna) are onboard for season two, which is currently shooting in New York City. Esmail, who is directing all 10 episodes of the new season, is introducing the character Dominique “Dom” DiPierro into the story this year. Grace Gummer will play Dom, a young federal agent investigating the hack. Also joining the cast this year: Craig Robinson as Ray, a neighborhood local who reaches out to Elliot in his time of need; rapper Joey Bada$$ as Leon, a new friend of Elliot’s who philosophizes on the meaning of life; and Chris Conroy as Derek, the young and attractive new man in Joanna Wellick’s life. Previous article What is Hacktivism ? Next article Why Penetration Testing ?